The VCCPA board is made of up of thirteen volunteer members of the early child care and education community including home child care providers, program administrators, and business consultants. Members of the board support the early child care community through use of their own interests and talents while gaining valuable experience toward their professional goals. Persons interested in becoming board members complete an application and, if approved, are nominated and voted in by the board. Cindy has been a VCCPA board member for five years, addressing the issues faced by home providers and promoting quality child care, and a business accountant for many years. Cindy is a Specialist II Northern Lights Instructor. She is a past Board President for VCCICC. Cindy represents our membership with VTECA, CCFAP workgroup, STARS, MATCH, TEACH, and many other committees statewide. Cindy lives with her husband in Newport News, VA. She has two grown children and two grandsons. Alisha has been a VCCPA Board member for seven years, with the last three as President. She became a member to ensure the voices and opinions of providers across the state are heard and connected. Alisha has been in the field of early education for twenty-four years and is currently a 5 STARS family home provider as well as an Early Childhood Special Educator. Alisha lives with her husband Mike and their five children. Lynn has been a VCCPA Board member for four years. She has worked in child care for ten years. Lynn has a 3-STAR, registered-home program, Toes in the Sand, in Fairfax and is the Franklin/Grand Isle Starting Points leader. Lynn lives with her husband, Geoffrey, three children, two kitties and three pups. 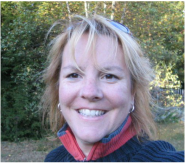 Lynn enjoys nature photography, gardening, and learning about herbalism. Sheila has been a VCCPA Board member for sixteen years. She joined in order to improve professionalism in early care and education and to help to unify early care providers. Sheila is a licensed early educator and has been a home provider for thirty-one years with a 5 STARS rating. Sheila lives with her husband and enjoys reading, walking, gardening and spending time with her eight-month old grandson. Trish has been a VCCPA Board member for four years. She joined in order to contribute her skills to the profession through a leadership role. Trish has been a home child care provider for twenty-three years, as 5 STARS and is NAFCC accredited. Trish lives with her husband, her pup and kitty. and has two nearly-grown children. She enjoys horses, camping, crafting, spending time with family and friends and watching movies. Sheila has been a VCCPA Board member for one year. She joined in order that her experience can be helpful in supporting other providers. She has been the owner/director of Creative Spirit Children's Center in West Fairlee for 15 years. She has been in childcare since 1995. She lives with her husband Jeff and daughter Stella Star. They have a golden retriever named Wilson and two cats, Breezy and Vada. She enjoys metal detecting, repairing vintage sewing machines, play games with friends and travel. Emily has been a VCCPA Board member for two years. She joined in order to advocate for early care providers and early education. She has worked in child care for over twenty years and is currently a 5 STARS registered home provider in Bradford. Emily lives with her husband, two, teenage daughters, two golden retrievers and cat. She enjoys photography, travel, hiking, and reading. Lori joined the board during the spring of 2016 in order to contribute to the development of early childhood education. Lori has has a degree in elementary education and has worked in a variety of daycare, school, and preschool settings for close to 13 years. Lori lives with her three sons, daughter, three dogs and two cats in Milton. She enjoys garage sales, kayaking, hiking, camping, and motorcycling. Alyson has been a VCCPA board member for two years. She joined VCCPA with the goal of giving a voice to southern Vermont center and home providers. Alyson has been working with young children for eighteen years and is currently the director of Bennington Early Childhood Center. She lives with her husband, Steve, and enjoys books, nature, the beach and physical activities. Donna has been a VCCPA board member currently for one year but had previously served on the VCCPA Board. She joined VCCPA to become more involved in what was happening in the childcare field, help with the professional development for the VCCPA conference. Donna owns Donna's Childcare and Preschool in Derby. Donna has 30 years of experience in Childcare. She lives with her husband Vince and has a son, Josh and a daughter-in-law Ashley who blessed them with their first granddaughter June two years ago, in December. Donna enjoys camping, cooking and baking for family and friends and scrapbooking. page to the VCCPA newsletter, caring for horses, and designing natural playscapes.